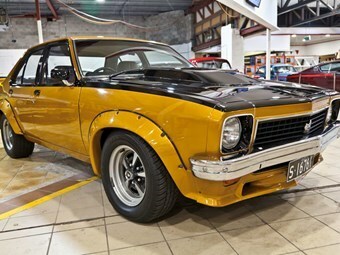 This Torana A9X sold for a huge multiple of its original price. Strong bidding pushed an A9X Torana sedan through to $162,000 at Lloyds today, while an LJ GTR XU-1 scored an impressive $102,500. The auction this afternoon had a wide range of collectible and muscle cars on offer and there were a few bargains for the sharp-eyed collector. For example, a tidy Falcon XB V8 wagon went for $10,000, while a well cared-for Mk10 Jaguar found a new owner at $15,500. Interest in local cars was strong, with an HX GTS we've previously featured here fetching $37,000.